Empower sales people with all the information they need right at their fingertips, from product discovery all the way through to check out. 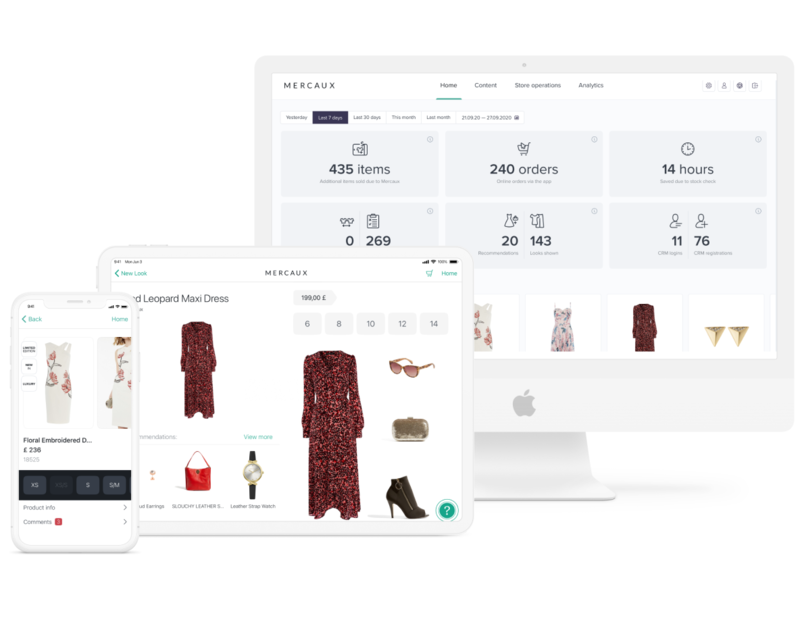 With easy access to the full endless aisle of products, matching recommendations, automated alternatives and styling suggestions, sales people can take the shopping experience to the next level while never leaving the side of the customer. Browse the full catalogue with powerful search and filters or instantly scan a barcode to look up products. View key selling points of each product including styling recommendations, pictures and inspiring video. Easy access to product details, including size guidelines, care and fabric instructions that match the web. Access to full product catalogue across the estate with real time inventory in-store, across stores and online. See recommendations on how to style a product to build the perfect on-trend outfit.